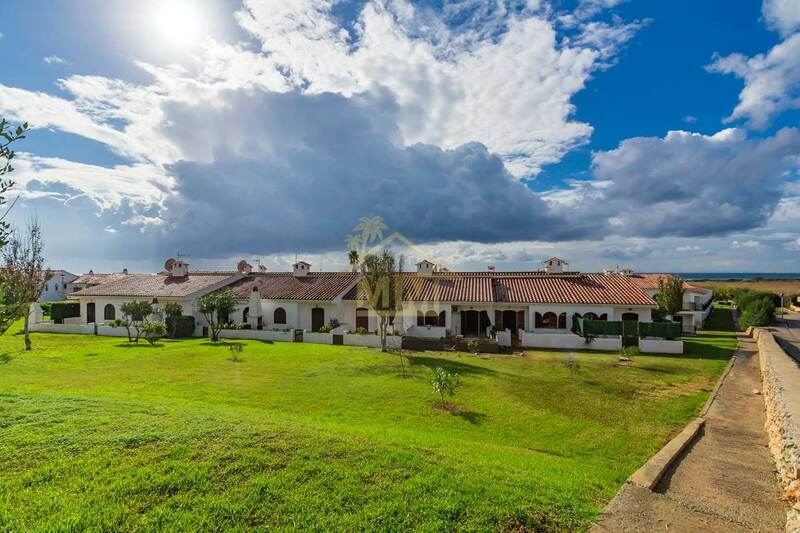 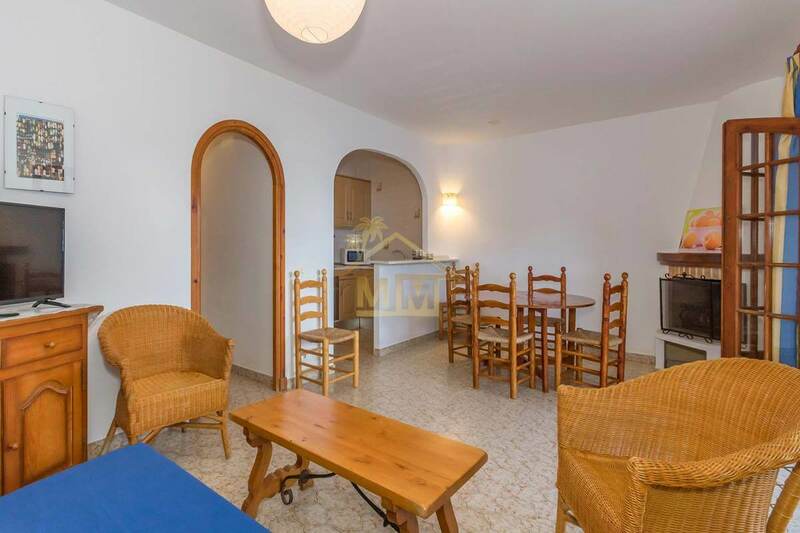 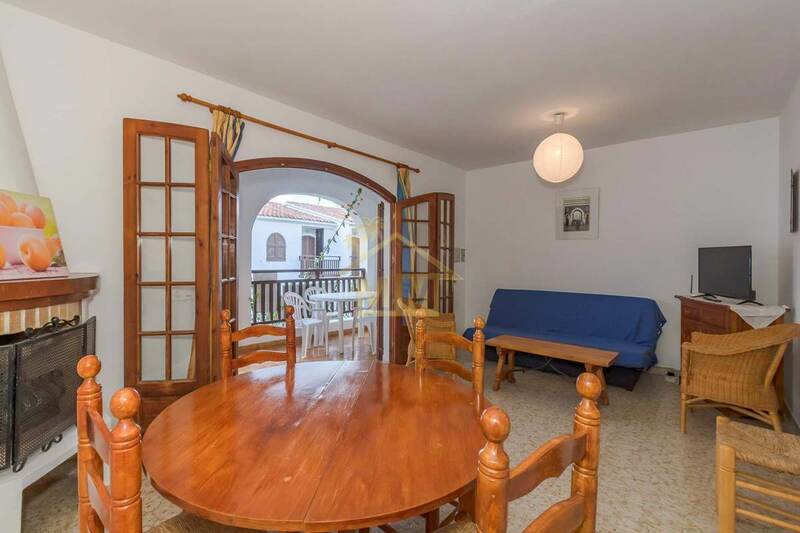 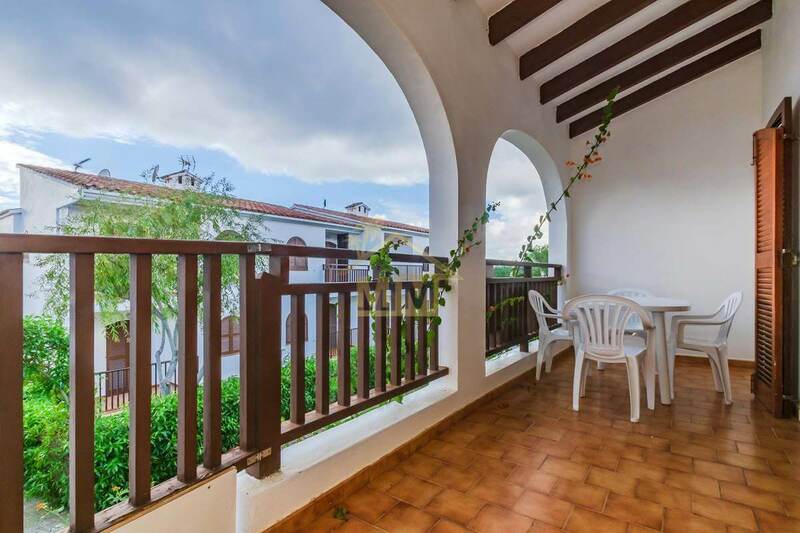 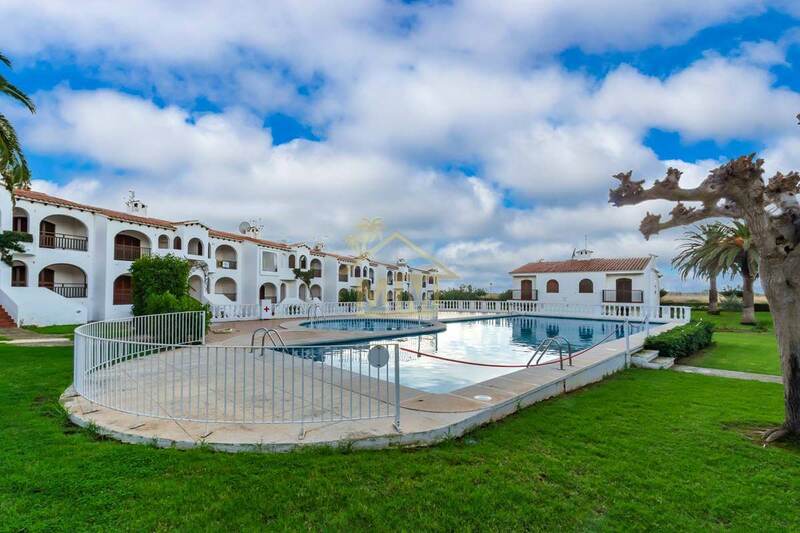 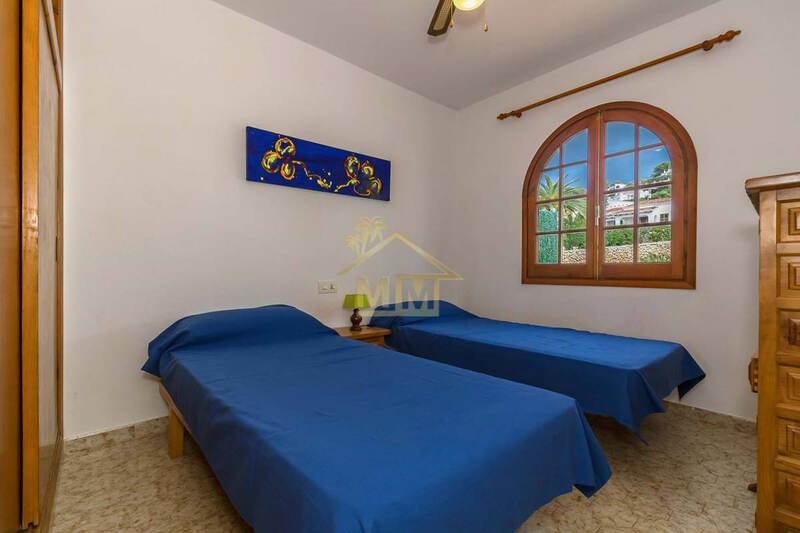 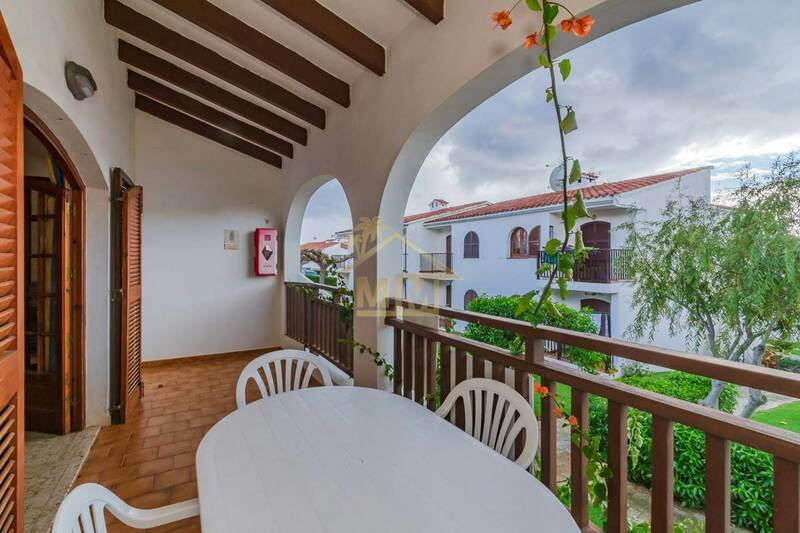 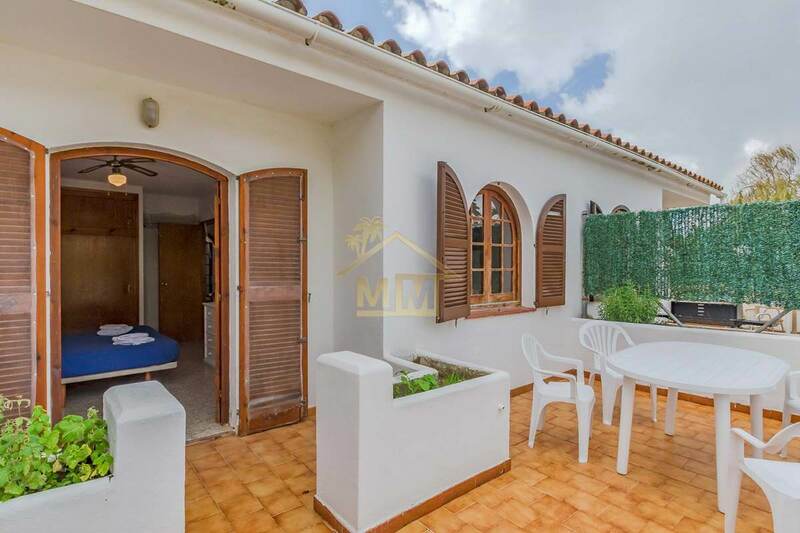 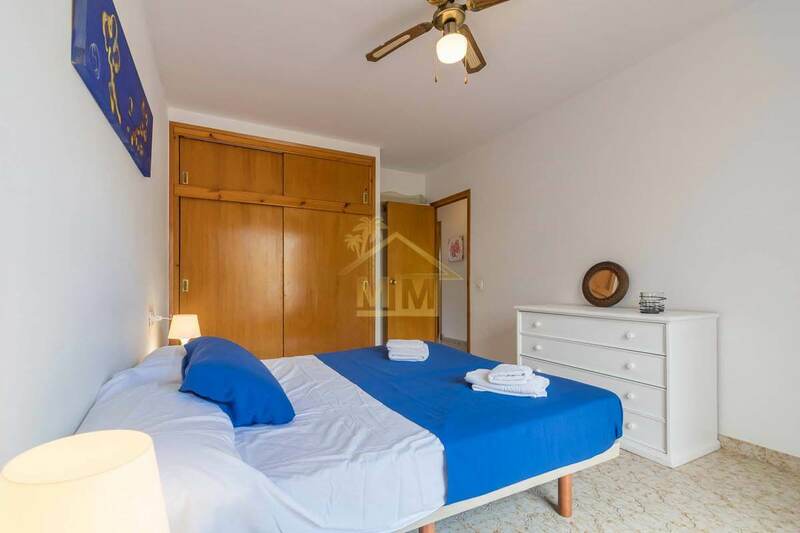 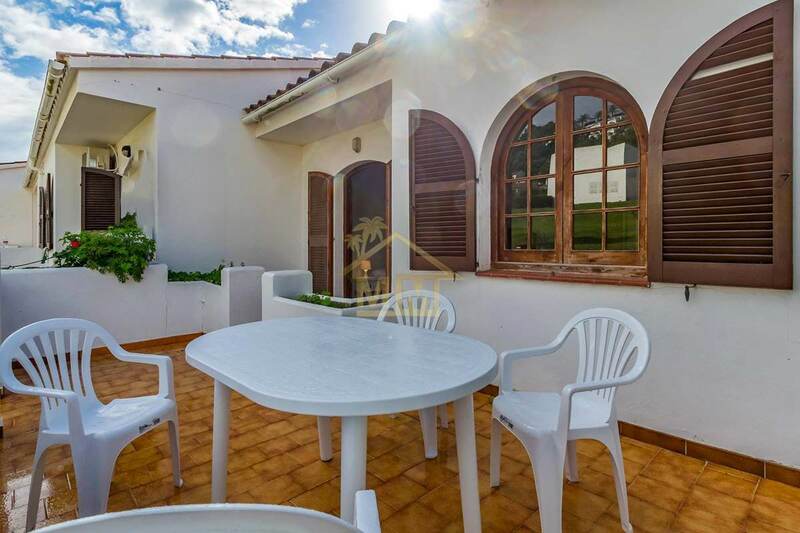 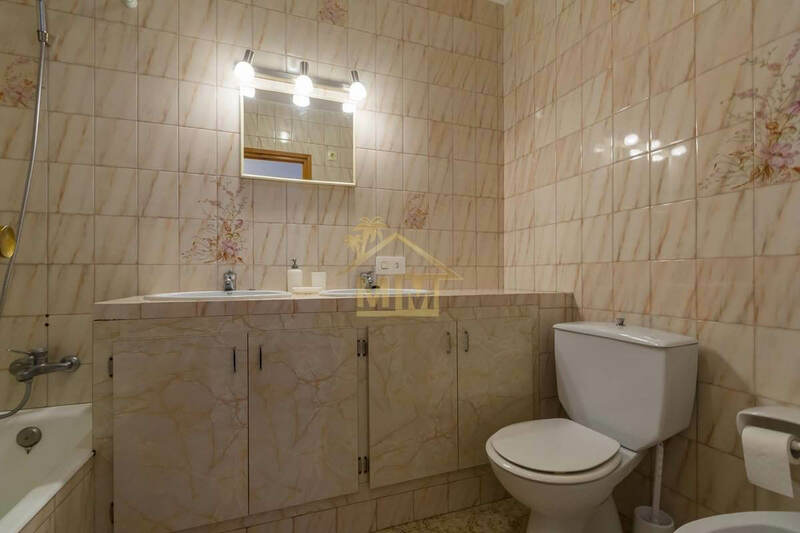 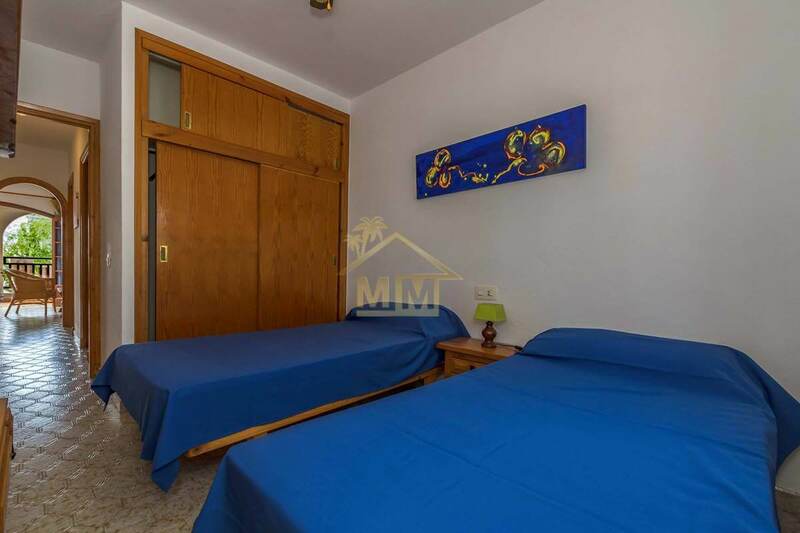 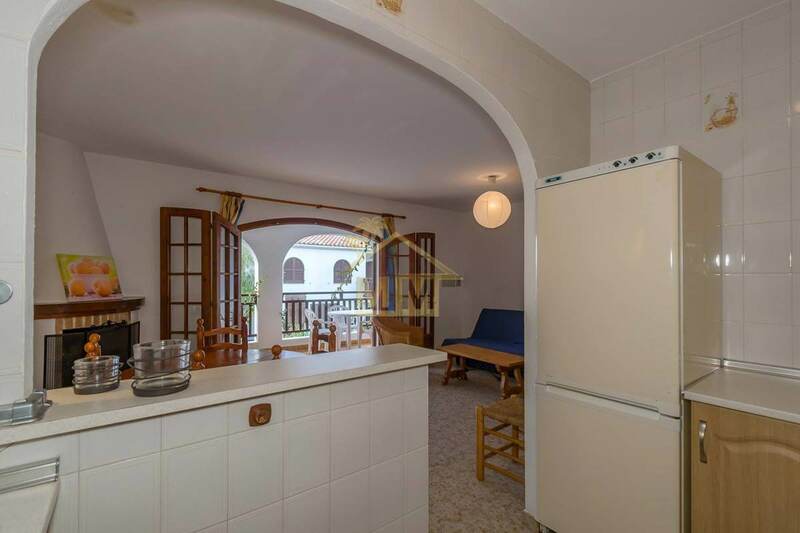 This apartment is situated in this well-known and immaculate “El Girasols” complex. 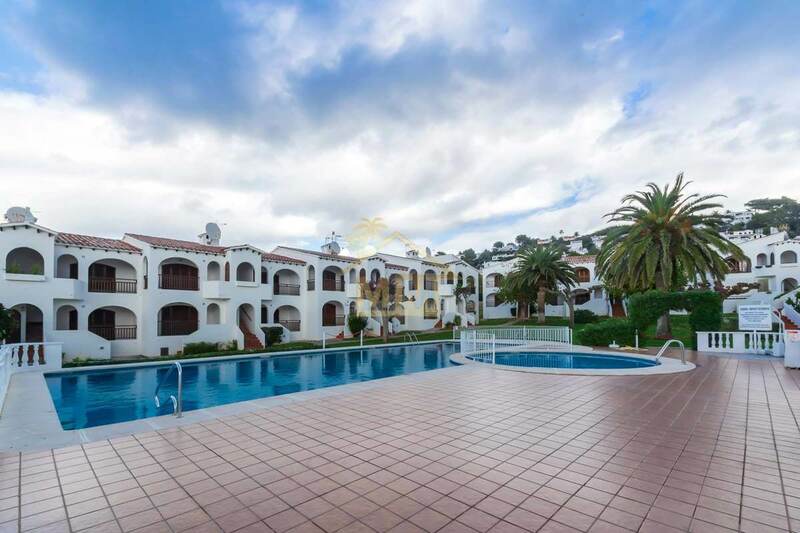 There is an impressive communal swimming pool surrounded by mature and beautifully kept gardens. 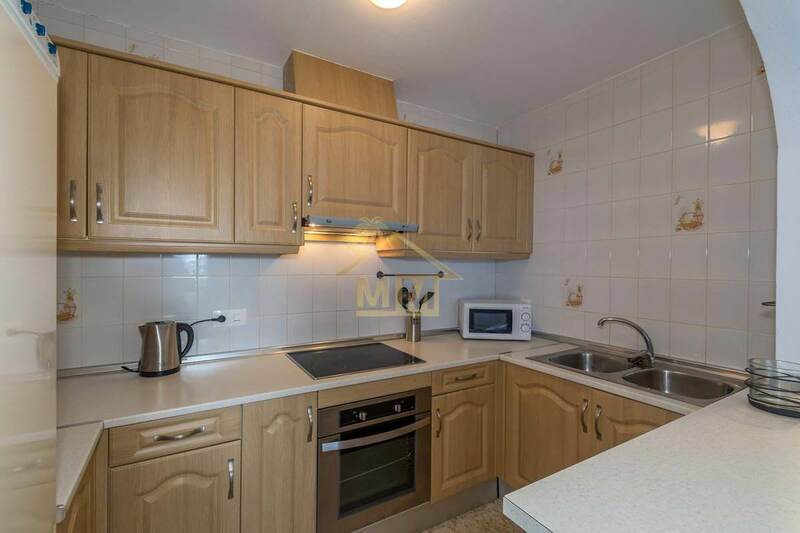 Ideally located, with bars, restaurants and amenities just five minutes’ walk away. 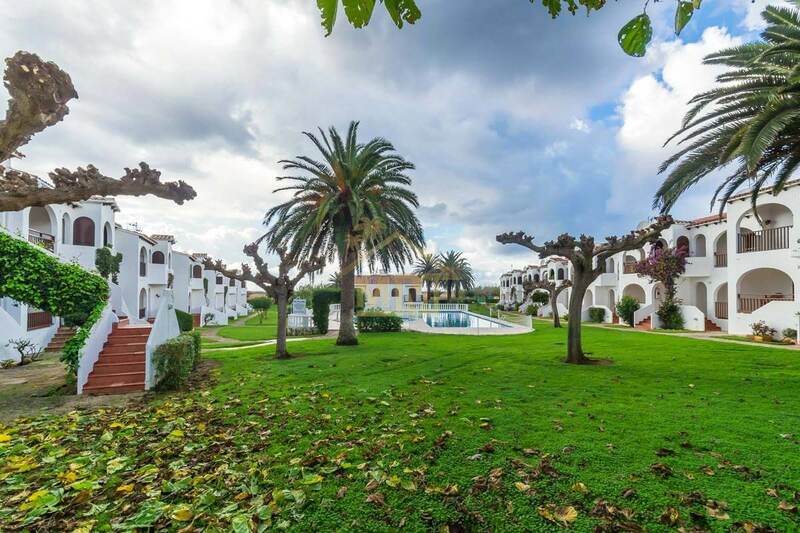 A ten minute walk and you are down to the stunning white sandy beach of Son Bou. 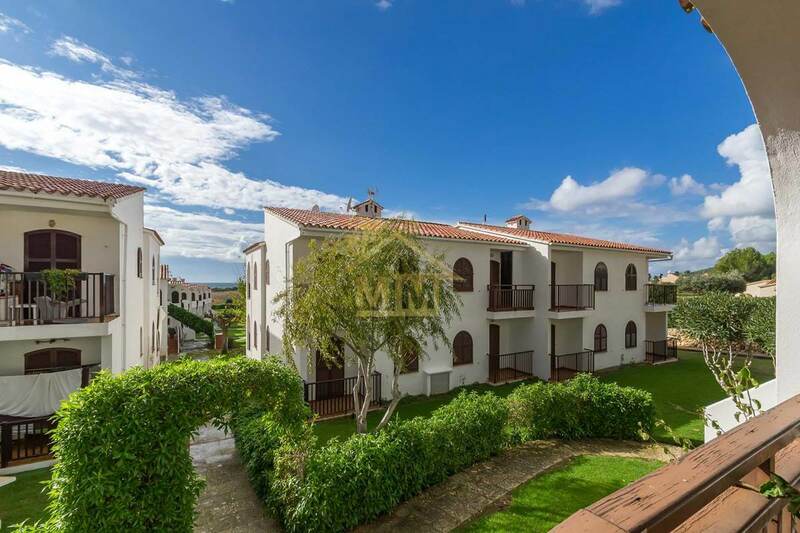 This ground floor apartment has an open plan kitchen and a living-dining room with a fireplace, 2 double bedrooms with built-in wardrobes and a bathroom. 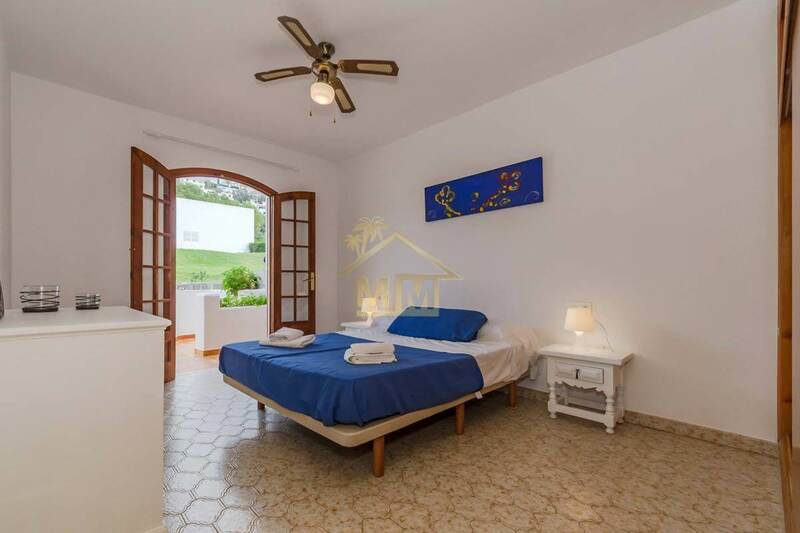 In addition there is a large terrace overlooking the gardens ideal to enjoy alfresco and the master bedroom has its own private terrace. 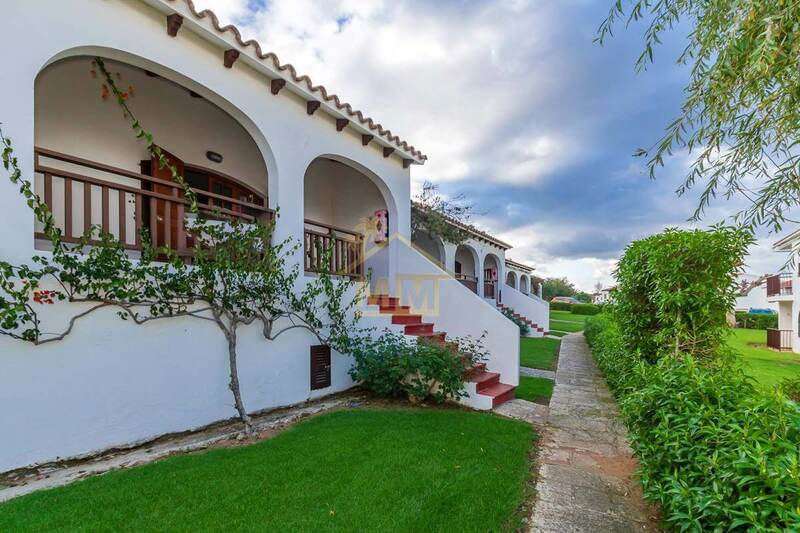 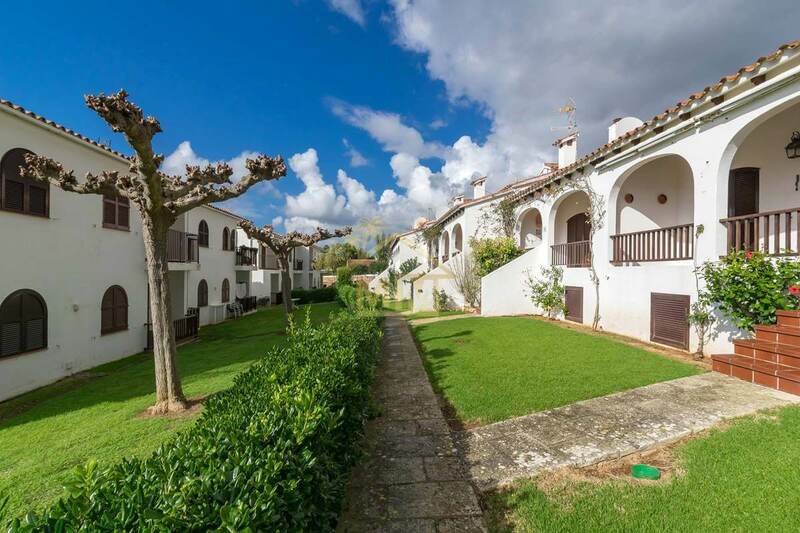 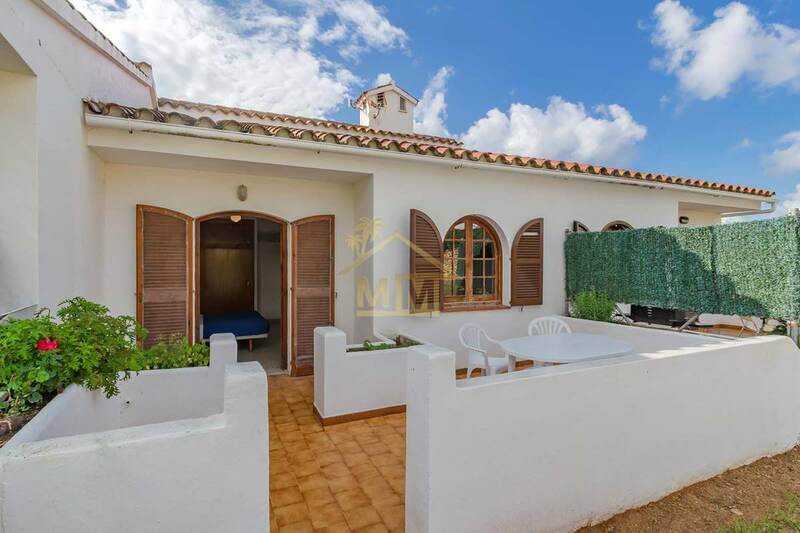 This property benefits from a communal tourist licence and distant sea views.